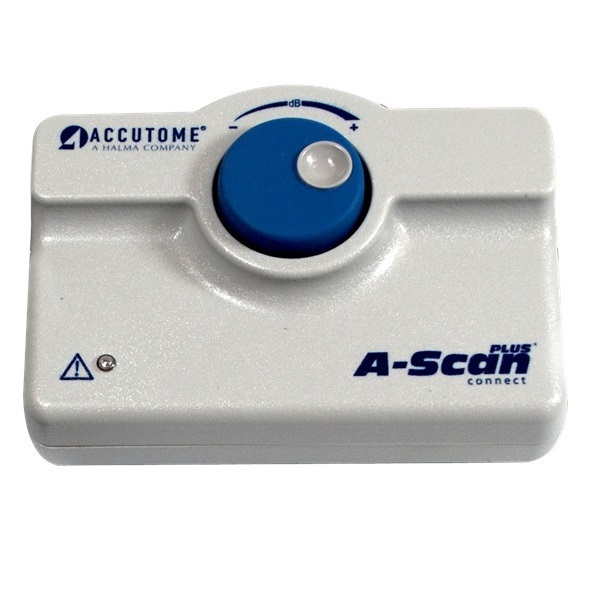 The A-Scan Plus Connect® is designed to meet the demands of today’s refractive cataract surgery. It is the single most effective solution for measuring and calculating all of your patients and refining your surgical outcomes. 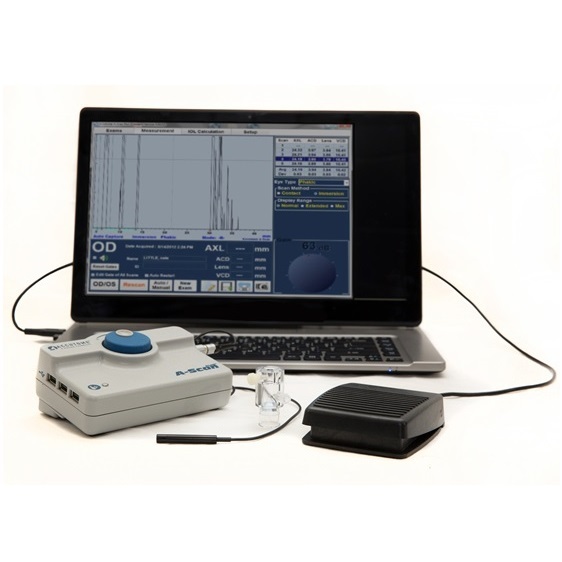 It has the ability to measure most patients and works great with dense cataracts or patients with fixation difficulties. Less Patient Chair Time – Faster measurement capture*. 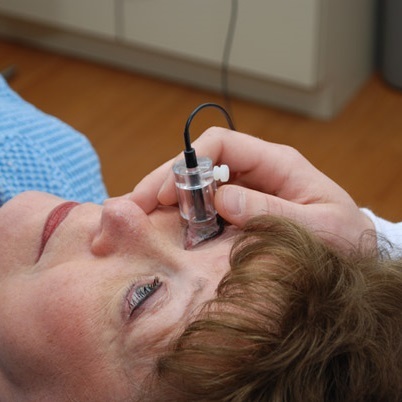 Automatic Alignment Detection and Sclera Recognition eliminate marginally aligned scans. Portable, Lightweight Design – Plug into any PC, laptop or tablet device. Share information easily – adaptable document transfer via EMR, email or printer. Modern Third and Fourth Generation Formulas including the Hoffer®Q, SRK/T, Holladay, Haigis as well as new post refractive formulas. Optimized Lens Constants for superior surgical outcomes. Streamline your patient data – shares information with B-Scan Plus and UBM Plus. Custom Eye Type Settings: Unlimited with independent ACD, Lens, VCD velocities.